In support of the V&A exhibition celebrating the era-defining significance of the 1960’s upon life today, Propability were asked to produce a large scale platform plinth amongst other key props and features for the Fenwick window on Bond Street. 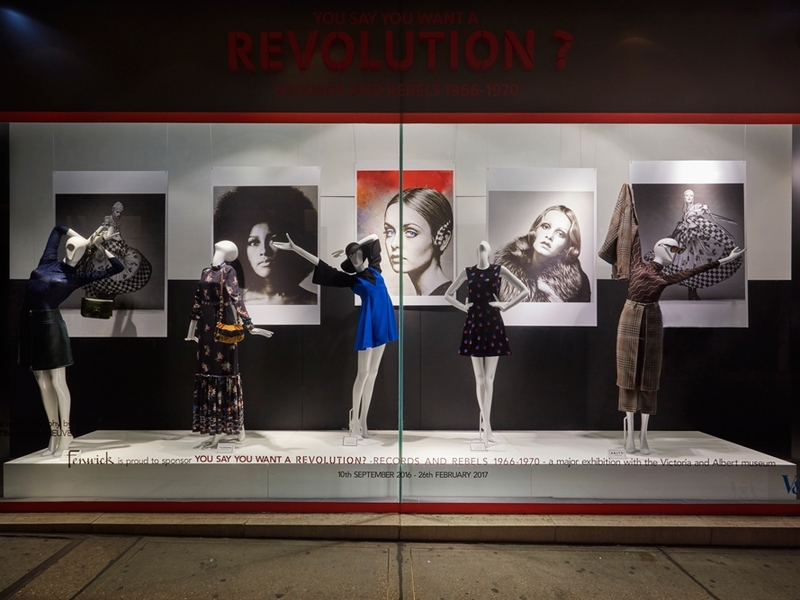 Iconic images mounted onto a dibond panel were hung from a steel cable and used as a backdrop with the platform at the front of the windows used to position mannequins showcasing key designer merchandise in store. On the outside of the window Propability created 3D lettering out of high density foam on a 3D router which was spray finished and fixed to the window along with vinyl lettering.